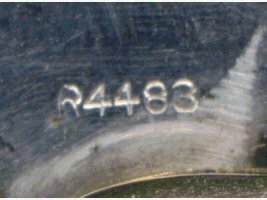 On Remington Knives, The the last digit of the pattern number indicates the type of material used to make the handle. 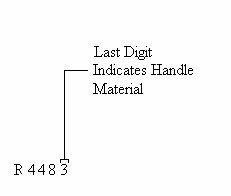 The pattern # R4483, for example, tells you that the knife handle is made of bone because the # 3 was used by Remington to identify bone. The following is a reference to all of the handle materials used by Remington; all of them that I know of anyways. On vintage Remington knives, redwood was used mostly on work knives. This is a composite material that has a smooth texture. Knives made of it are very tough and make excellent work knives. Bone handles come from the shinbone of cows. Over the years, it has been the most used material in making knife handles. It allows for a wide range of variation because it can be died any color, and jigged in many different ways. Pearl is made from the inner shell of oysters. Small thin pieces of the shell are bonded together to form large sheets that were then shaped into handles. Pyremite was created by Remington and used to achieve extremely diverse handle colors. It was died many different colors. Genuine Stag was hardly ever used by Remington on knives that were not bullet knives. 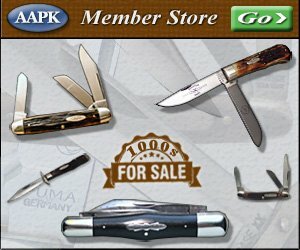 Those patterns that have genuine stag scales and are not bullet knives are very collectible. This is a reddish brown colored wood that is very hard and has a fine grain. The trees grow in Central America.